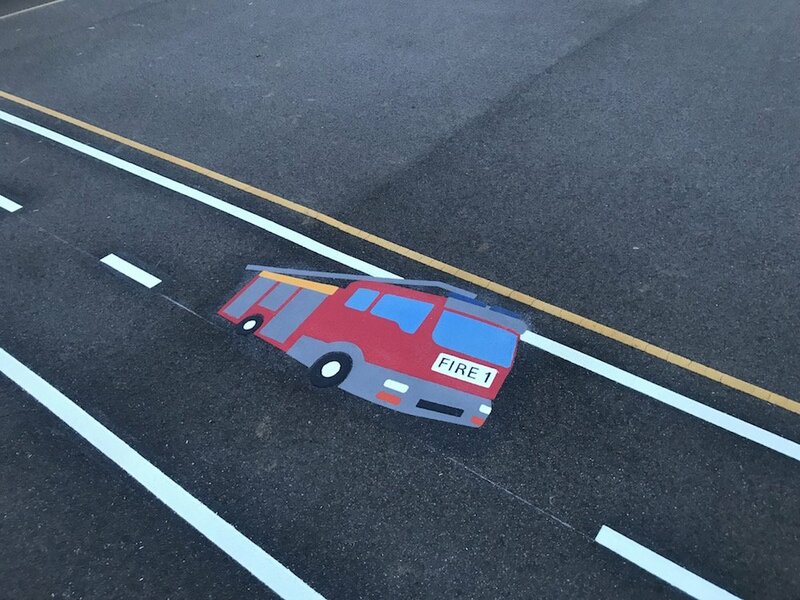 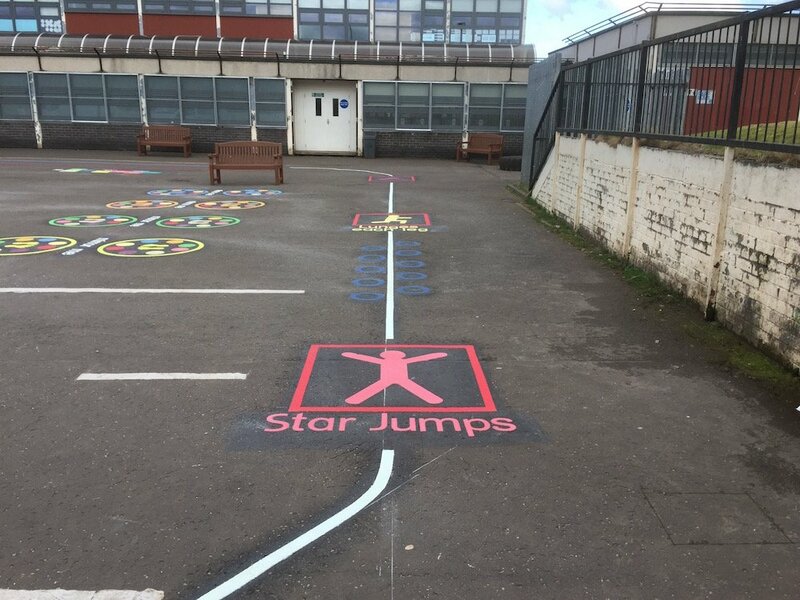 Our installation team drove North to Bellshill in Scotland to install this range of vibrant markings. 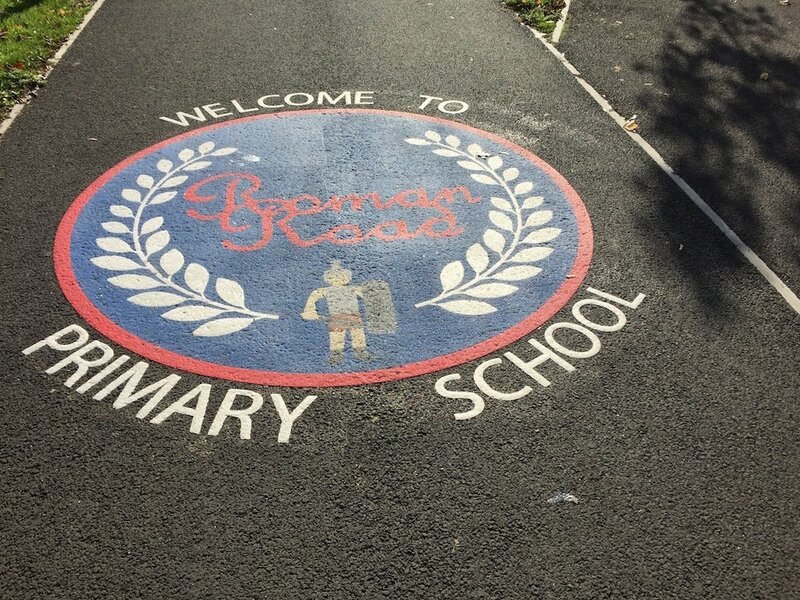 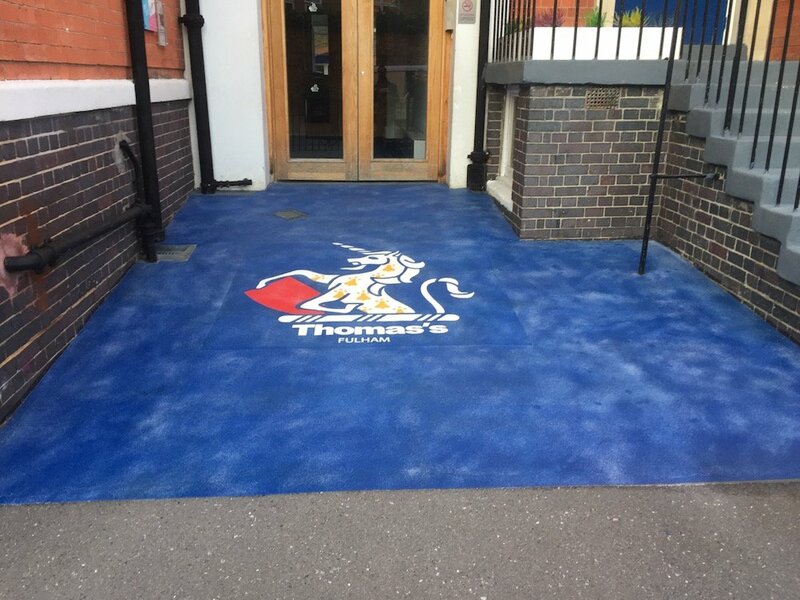 Sacred Heart Primary School’s playground was transformed! 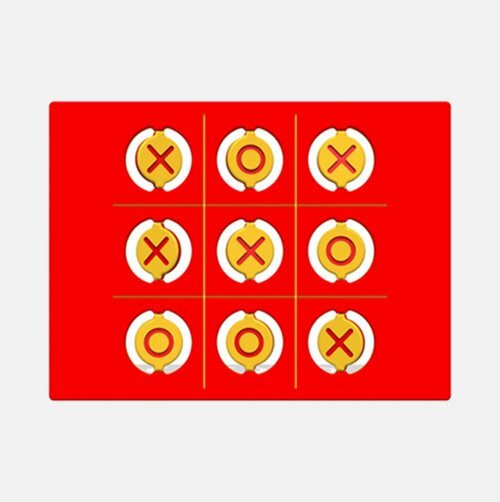 The team began with these 4 Mirror Me’s. 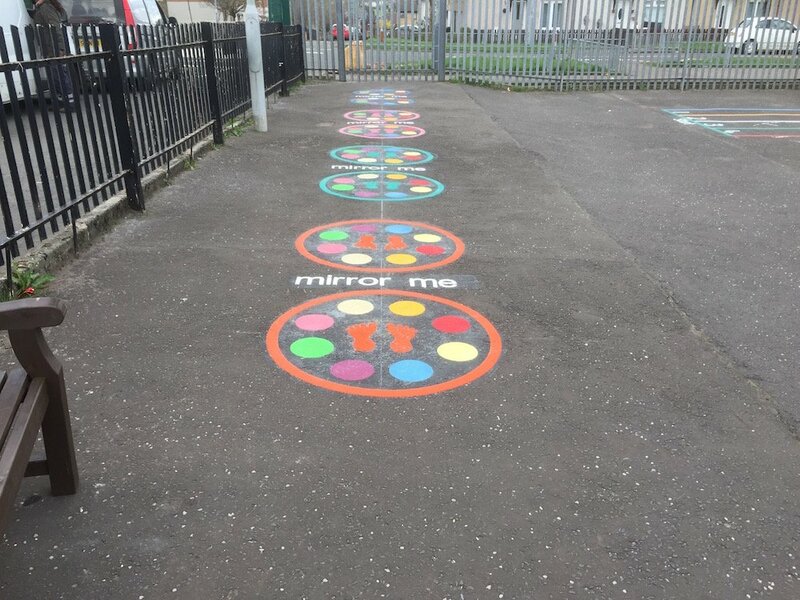 The mirror me is one of the children favourites and really brightens up the school playground. 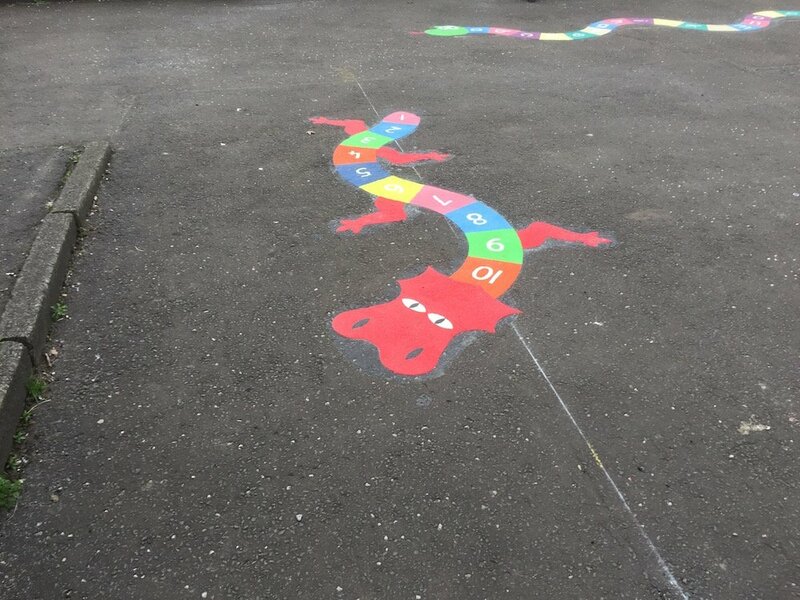 The 1-10 Dragon can be used for younger students to learn their first numbers. 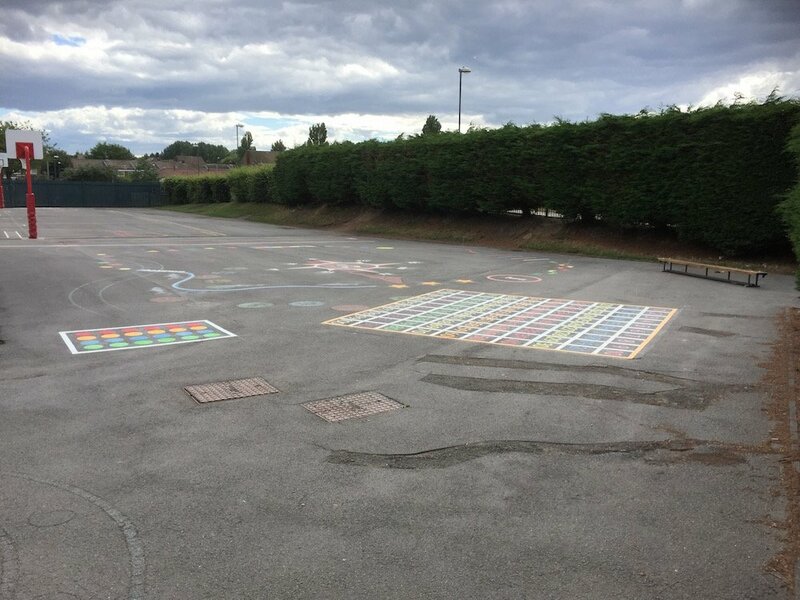 It also looks great and children have lots of fun running up and down their new friends back. 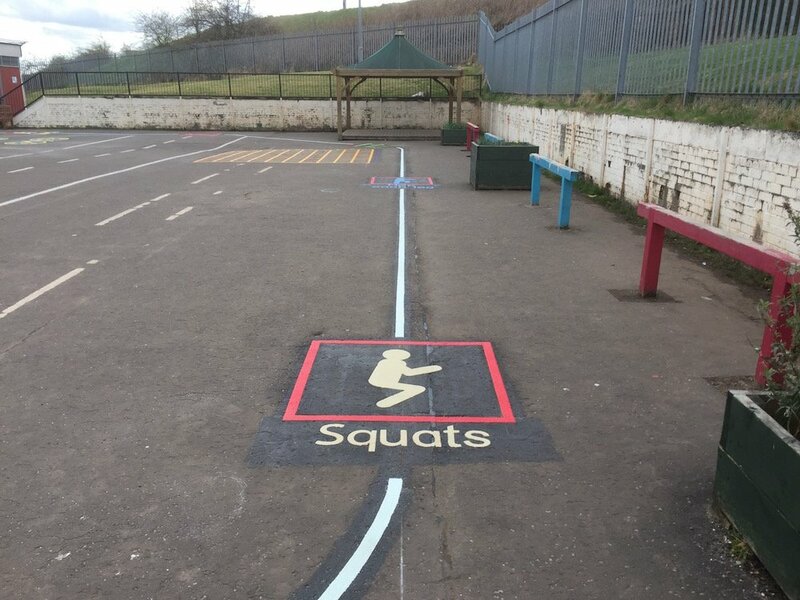 The Fitness Trail is a great tool for P.E teachers and really does get the children more active. 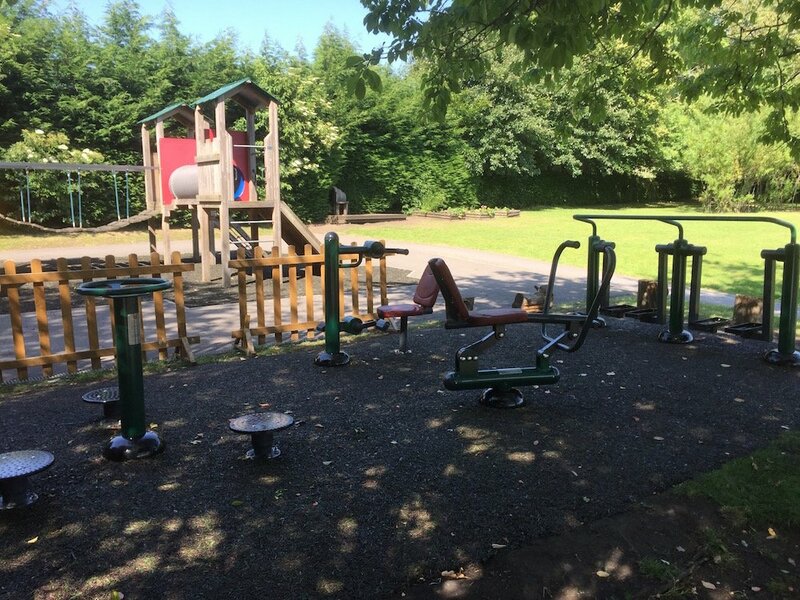 So that they are healthier and happier. 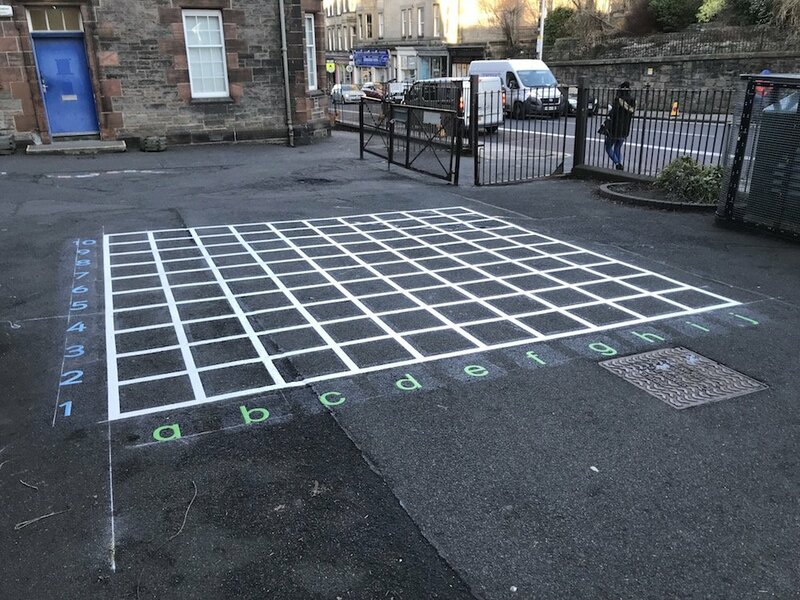 Next the team installed this Co-ordinate Grid. 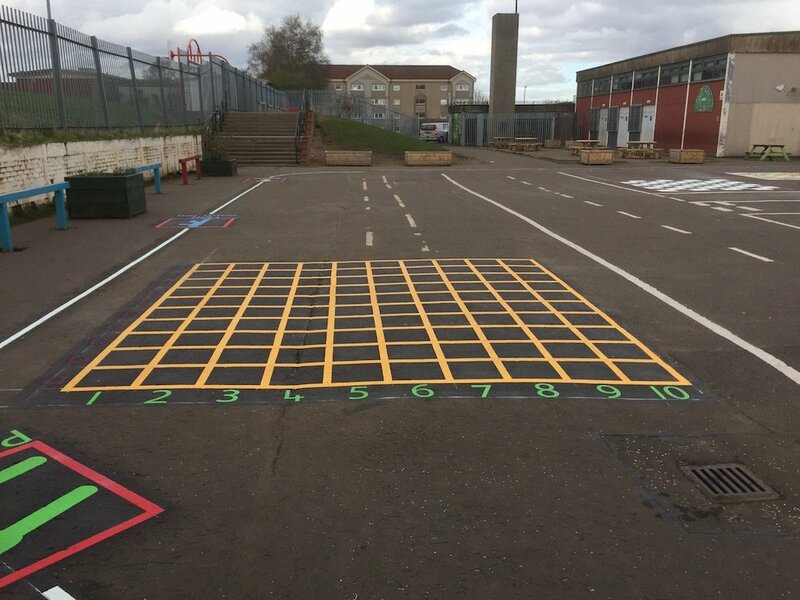 The Co-ordinate Grid is a great way to teach KS2 Children Co-ordinates in a visual and interactive way. 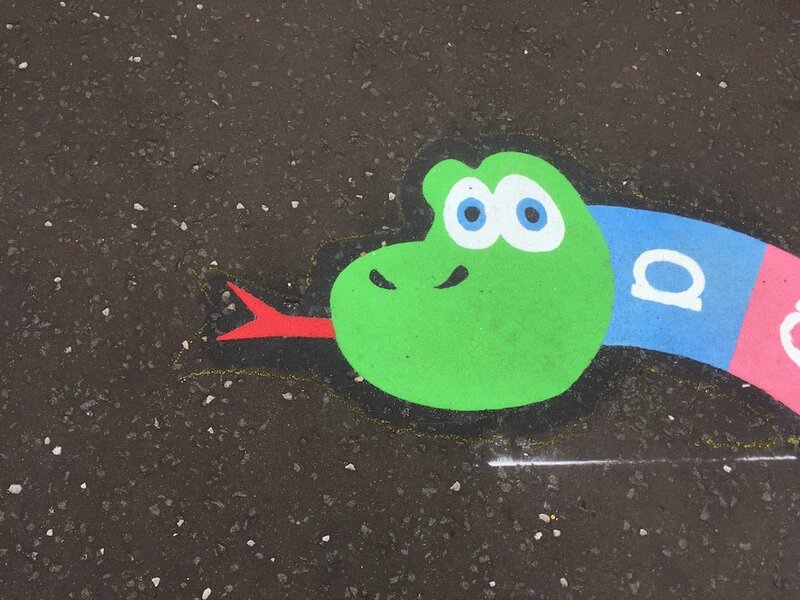 Then the team installed this A-Z Snake. 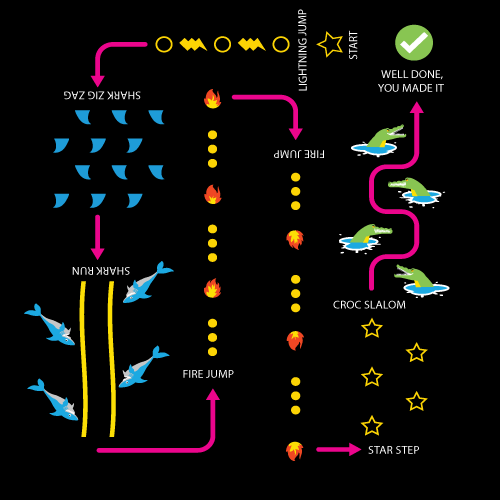 This is a really fun game. 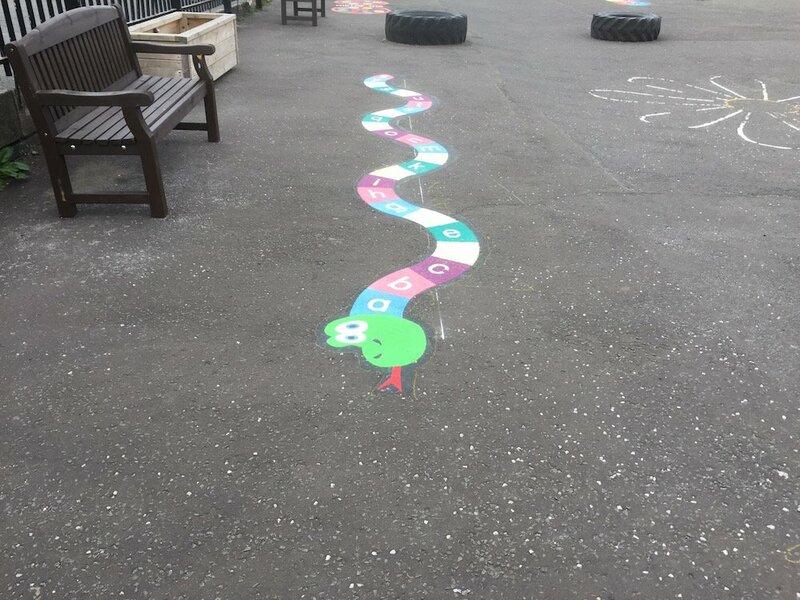 It also assists children’s development in literacy skills. 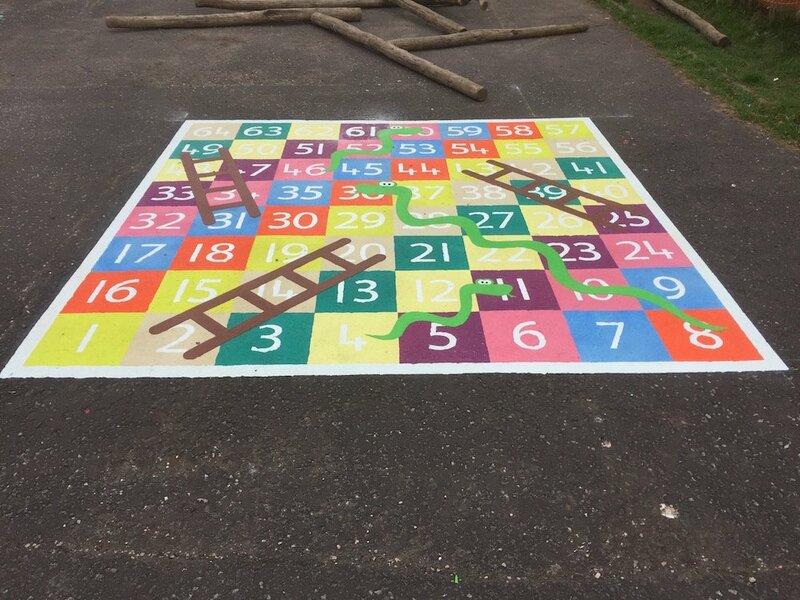 Lastly the team installed this 1-64 Snakes and Ladders.